The institution, founded in the 70s, wanted a gift wrap that would help refresh its image. It wanted to appeal to its youthful student population, yet not alienate its more corporate or institutional audience. We decided to re-visit the school crest, as it is still the one constant element of the institution's visual identity, drawing from it the colour palette, but updating the blue with a brighter hue for the background. 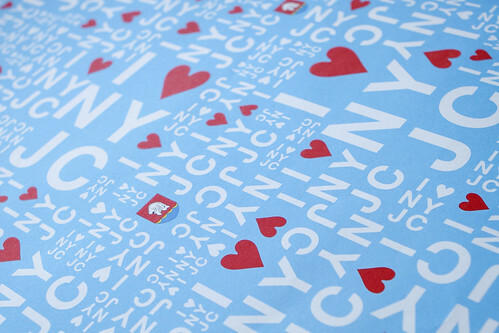 The design applies a structured, block pattern to balance the more playful tone that makes reference to the iconic "I heart NY" tag (given the institution's acronym) and gives room for bright red hearts.